Immunomic Therapeutics, Inc is a privately-help clinical stage biotechnology company. They develop next generation vaccines based on the patented Lysosomal Associated Membrane Protein, or LAMP, technology. As a clinical-stage biotechnology company developing new drugs, Immunomic Therapeutics, Inc. must share sensitive information about their business, their product development process, and their scientific findings with current and potential partners in order to secure funding to bring their products to trial and eventually the marketplace. The risk of losing control of this critical documentation could be catastrophic for their business should it fall into the wrong hands. ITI had previously used file sharing tool Dropbox for document sharing as well as other information sharing solutions. All of which worked fine for other uses, but all also raised the issue of commingling personal and corporate data. So, when it came to working with potential corporate partners the previous solutions simply did not allow for the type of strict document control like view only or no access that they required. With strict access control being of paramount importance ITI didn’t need any convincing that a virtual data room was the way to go. But, when they began their evaluation of other providers, they found that most of the other options were far too expensive, and that SecureDocs’ low, flat-rate price point made much more sense for the small biotech company. In addition to giving ITI complete control over their most critical business documentation, SecureDocs has allowed the company to simplify their document sharing processes. Now they are able to simply drag and drop all of their documentation into their data room, grant unique access permissions to custom user groups directly from the data room, and gain complete transparency into who is doing what with each document through the audit log. Today, ITI continues to use SecureDocs for ongoing due diligence items and partnering deals. 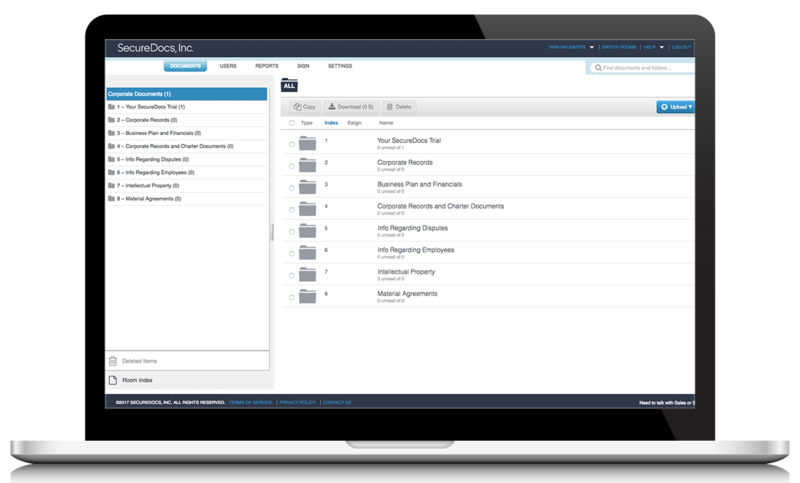 They work with boards from around the globe on various projects, and SecureDocs helps them with their alliance management, relationship management, and committee governance by allowing users to view critical deal information and collaborate by uploading key signature and financial documents to the data room. This helps to strengthen trust and therefore assists in securing future partnerships, licensing deals, and collaboration opportunities. Most recently ITI successful completed a $70MM licensing deal while using the SecureDocs Platform.